UNDER-PRESSURE hawkers in your neighbourhood heartlands may smile a little with the National Environment Agency (NEA) announcing that it has prescribed tweaks to standardise the contractual terms between socially-conscious enterprises and hawkers. This welcome change of heart comes after an unending streak of feedback from hawkers, patrons and social enterprise hawker operators. Hot off the frying pan are the four changes which include the removal of “onerous” terms to better safeguard the interest of hawkers, says the NEA. Perhaps one of the sorest thumbs that has made hawkers from Bukit Batok to Bedok, Tampines to Toa Payoh and Choa Chu Kang to Chinatown see red is the onerous contractual term with the premature termination clause. Stallholders were liable to pay rent for the rest of their contract which NEA now says such terms are more common with food courts and coffee shops. But to clarify the rousing talking-point issue, NEA added that it has not come across any instances of the premature termination clause coming into practice so far. The other changes significantly relate to stall operation days and hours, termination notice periods and security deposits, as well as other charges such as legal fees and liquidated damages. The government is sensitive to the hawkers’ woes as Dr Amy Khor, Senior Minister of State for the Environment and Water Resources, admitted recently that teething issues are inevitable with new initiatives. “I think that even as there are teething issues, there are good outcomes that had been achieved to this model and what we want to do really is to refine, improve, evolve the model. We must then make adjustments, recalibration as and when it is required,” says Dr Khor at a recent media briefing. “When we first implemented this, NEA allowed the operators some flexibility so that they can introduce different ideas, different practices based on their experiences, expertise and skills to benefit both patrons as well as hawkers. What brings about a much-needed smile is that stallholders may operate at least five days a week or more if they wish to, said NEA. Currently, stallholders are required to open six days a week. Social enterprise operations will also offer hawkers options on their operating hours. Termination notice periods will be standardised across all operators to be not more than two months, said NEA. The security deposit held by the operator would also be no more than two months’ rent. If sufficient notice has been served by the hawker, the operator would not forfeit the security deposit. The operator will also not require the stallholders to pay rent of more than two months or until a replacement stallholder is found unless the tenancy agreement has been breached. As for other charges, operators may impose “reasonable” liquidated damages for regulatory or other breaches at no more than S$50 for minor ones and S$100 for major breaches, said NEA. The regulator added that operators should strive to keep business and administrative costs reasonable for hawkers. Operators will have to bear all legal fees that they may incur from the preparation and execution of the agreements with the stallholders, except for any stamp duties. 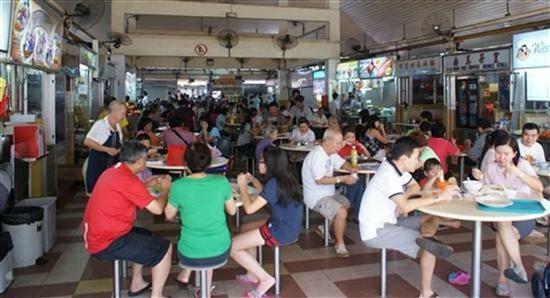 The changes will mean that the contractual terms will align more closely with those of NEA-managed hawker centres. For the record, the alternative hawker management model was put in place in 2015, with Ci Yuan Hawker Centre being the first to be run by a social enterprise. Currently, seven out of 114 hawker centres across the island are run by five social enterprises. They include Our Tampines Hub Hawker Centre, Yishun Park Hawker Centre, Jurong West Hawker Centre, Bukit Panjang Hawker Centre, Kampung Admiralty Hawker Centre and Pasir Ris Central Hawker Centre.